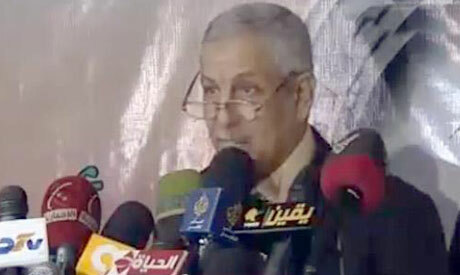 Luxor Governor Adel El-Khayat, a member of the ultra-conservative Al-Gamaa Al-Islamiya, has resigned. The group's Building and Development Party has accused the media of forcing El-Khayat from office. "El-Khayat was never convicted of or imprisoned for anything," the party's media spokesperson Khaled El-Sherif said at a press conference on Sunday. The media circulated false pictures of a bearded man claiming to be El-Khayat in order to frighten local people, El-Sherif claimed. El-Khayat's appointment last week provoked uproar because he is a founding member of Al-Gamaa Al-Islamiya which was responsible for the Luxor massacre that killed at least 58 foreign tourists and four Egyptians in 1997. The group was also implicated in the 1981 assassination of President Anwar El-Sadat. El-Khayat was selected as governor because he had a proven track record as deputy of the Upper Egypt Developmental Body, El-Sherif asserted. Al-Gamaa Al-Islamiya understands the importance of tourism to Egypt's economy and El-Khayat would have worked to improve tourism in the governorate, El-Sherif claimed. Tourism Minister Hisham Zaazou submitted his resignation on Wednesday in protest at El-Khayat's appointment, but it was not accepted by President Morsi. Hundreds camped outside the Luxor governorate headquarters to protest El-Khayat's appointment and prevent him from assuming his post. Local political activists and workers in the tourism sector announced they would close down tourist sites in Luxor if he remained governor. Al-Gamaa Al-Islamiya formally renounced violence after the Luxor attack. Following Egypt's 2011 uprising the group established the Building and Development Party as its political arm. Egypt's tourism industry has suffered due to political instability since the uprising. now I understand that the Egyptian people domnot deserve a democracy. I wonder why the opposition, if they feel so sure they have the backing of the people, cannot call for the legislative parliament elections, achieve a majority and gain the power to change the constitution and even impeach the president. I guess they know they will lose. owever, if they sow chaos as they are planning to do on June 30, they should be made to reap the whirlwind. Those that sow chaos shpould not be around to taste any benefiit that they thoiught will accrue by it.